Abey's Project sinkware collection offers practicality at an affordable price, and is available in both square and curved designs. Abey's Project sinkware collection offers practicality at an affordable price, and is avaiilable in both square and curved designs. Features include sound deadening, genuine 18/10 stainless steel, a clipping system that suits 12-35mm benchtops, designer wastes, European finish and a 25 year warranty. 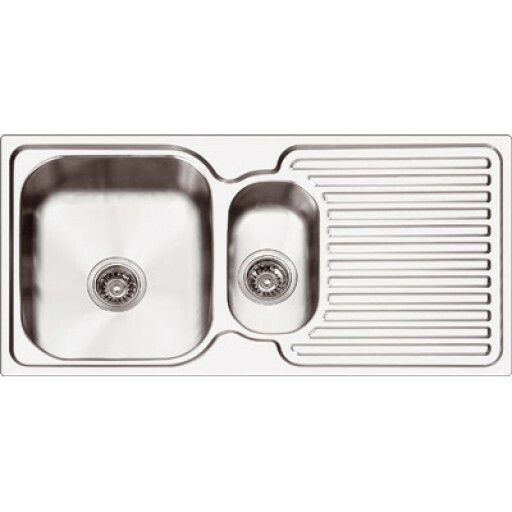 Project 125 1 & 1/3 bowl with single drainer and supplied with one tap hole. Available in right or left hand configurations. 960mm x 480mm.